A gem set in a luminous pendant linked to a shining silver chain. The gem pulses with different colors, and when examined closely, one can make out the silhouettes of fiends and monsters. 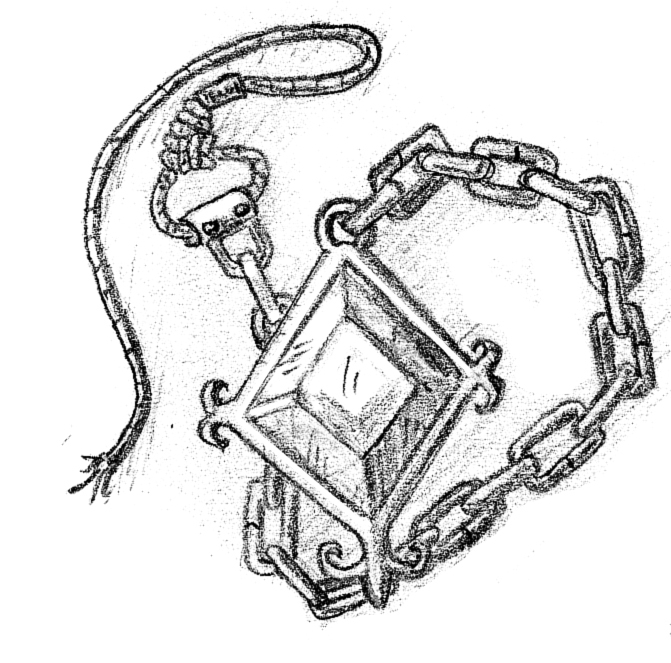 This signet holds the power to instantly transport the user and up to five willing allies into a cubic room, 40 ft. on each side, pocket realm. Within the pocket realm, a hostile creature awaits and instantly attacks when the user appears. When the hostile creature is defeated, the signet's user and their allies are instantly returned to their previous location. The signet has five charges and when all are expended, the signet is destroyed. The user may also expend a charge to instantly exit the pocket realm as an action. The DM chooses the hostile creature or determines randomly based on the signet's rarity. 1 Roll again, an additional monster of the next roll appears.